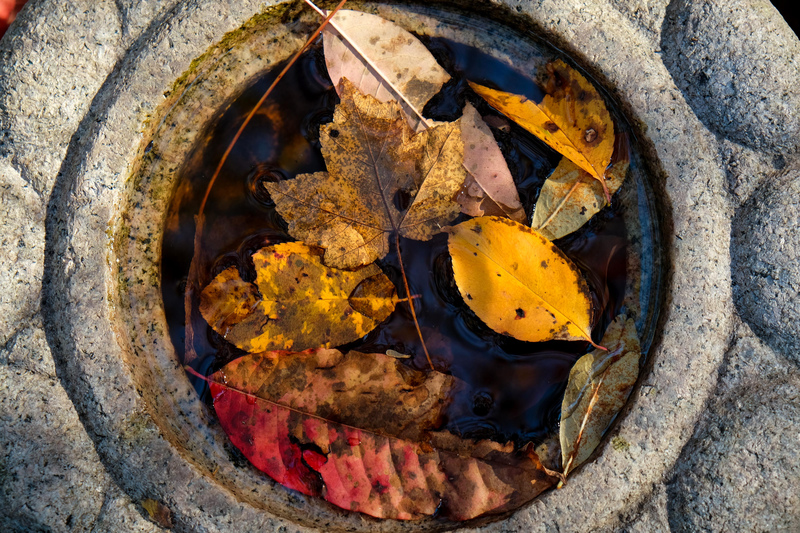 We took a late fall walk around the Duke Gar­dens and I’m always struck by some­thing new. Each trip has dif­fer­ent light, dif­fer­ent things bloom­ing, we take a dif­fer­ent path. The cir­cle image is tak­en through one of the asian gar­den stat­ues, look­ing at the icon­ic red bridge.